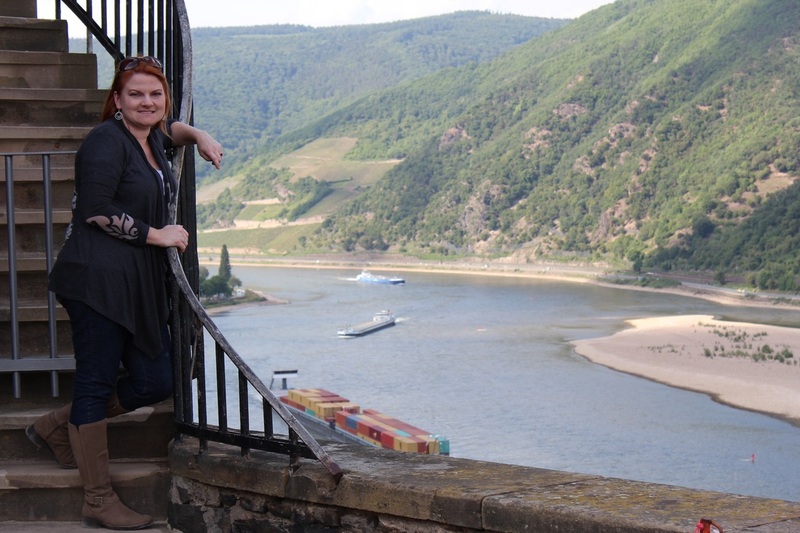 What I thought was nothing prepared me for how many castles would really be on this river! 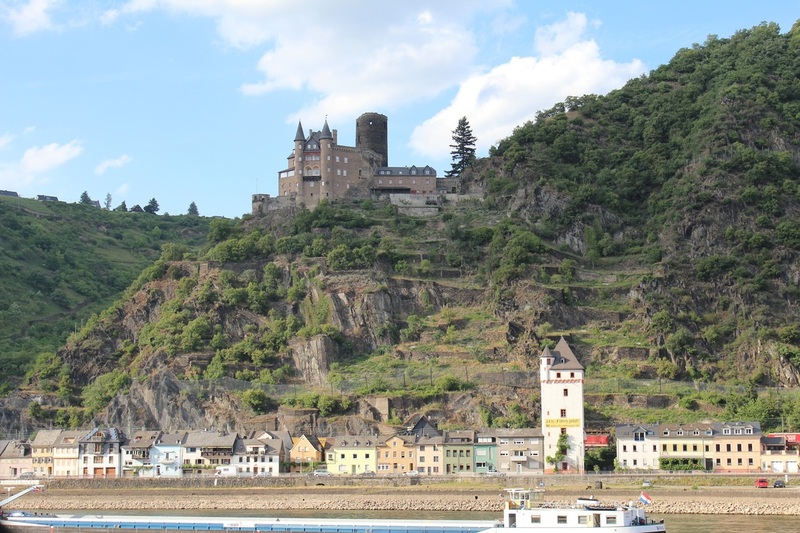 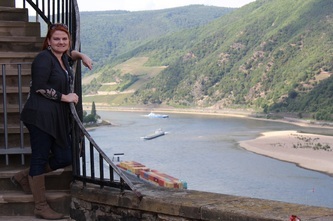 The stretch of the Rhine we visited is called the Rhine Gorge. 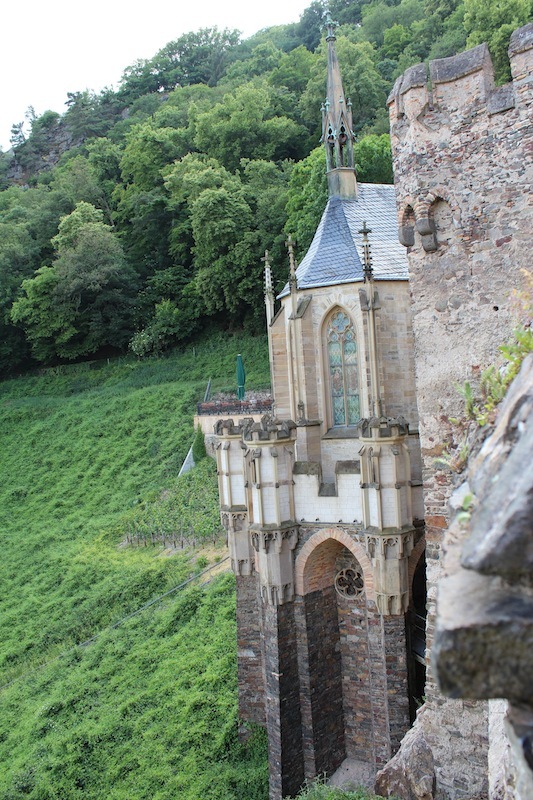 The tall sides of the gorge made it a prime spot for castle building, and build they did. 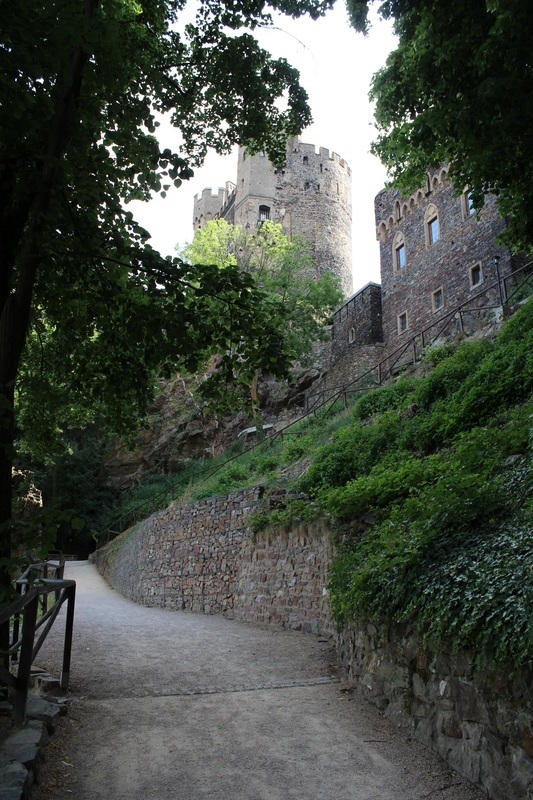 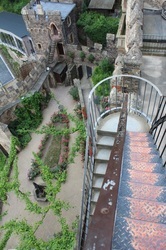 There are more than 40 castles and fortresses located here. The Rhine is the longest river in Germany and was therefore the easiest and safest way for people to transport goods. 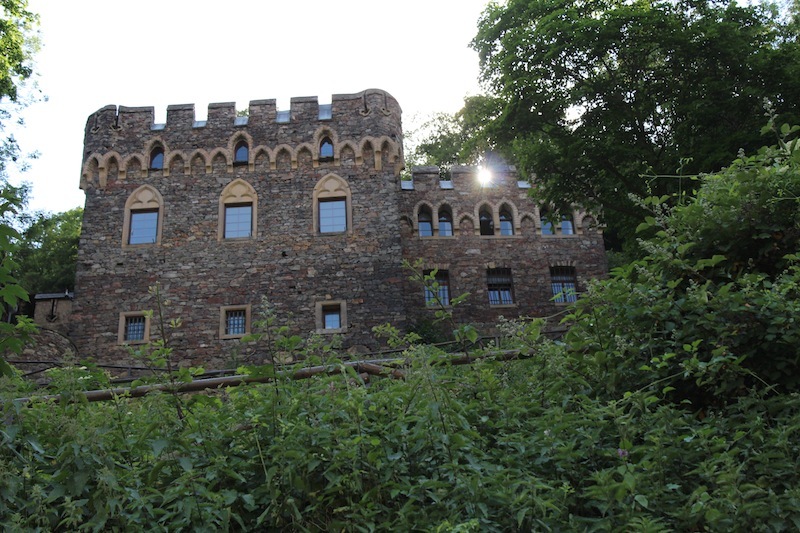 The owners of these castles were vying for taxes from the ships traveling the river. 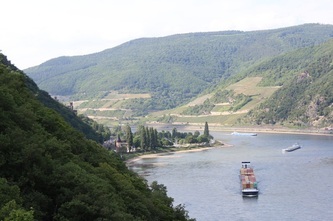 We drove along the river but there are many different river cruises you can take. The views we saw were amazing and I can't wait to see how much better they are from a boat on the river. 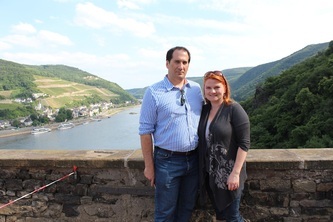 We definitely will be doing that next time. There's no doubt I underestimated the importance of this part of our trip. 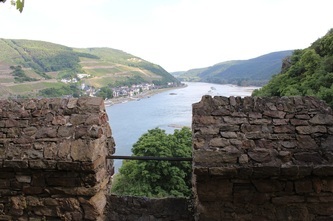 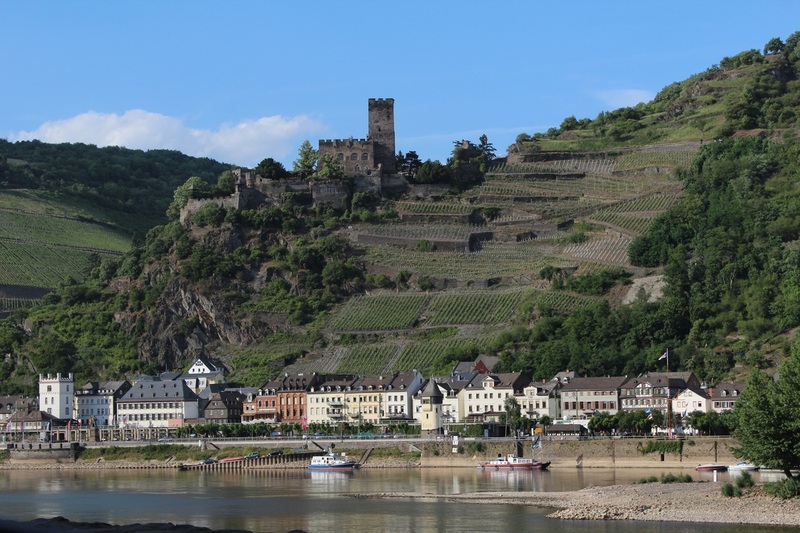 One could easily spend two weeks on the Rhine by itself and only scratch the surface (much less the Mosel). 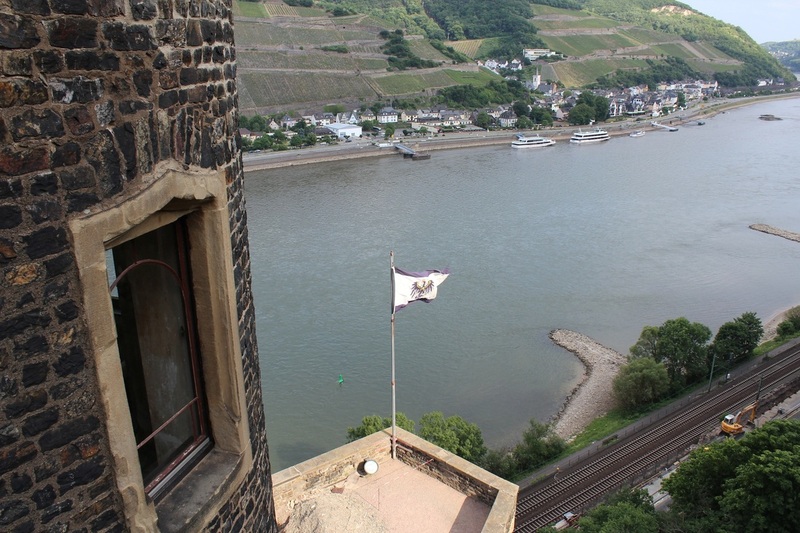 The historical richness of this region cannot be over-emphasized. Countless castles, vineyards and roman ruins. 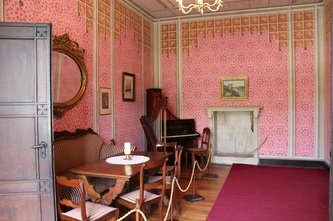 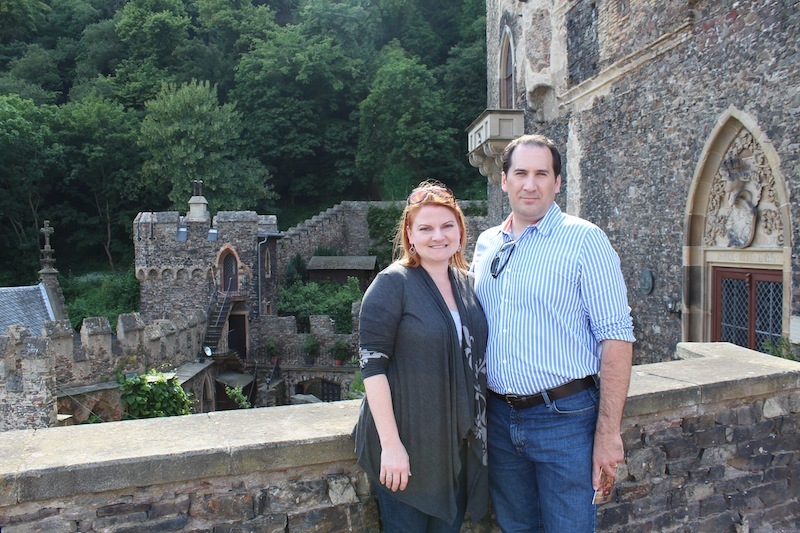 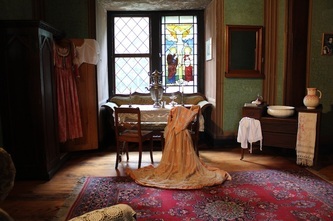 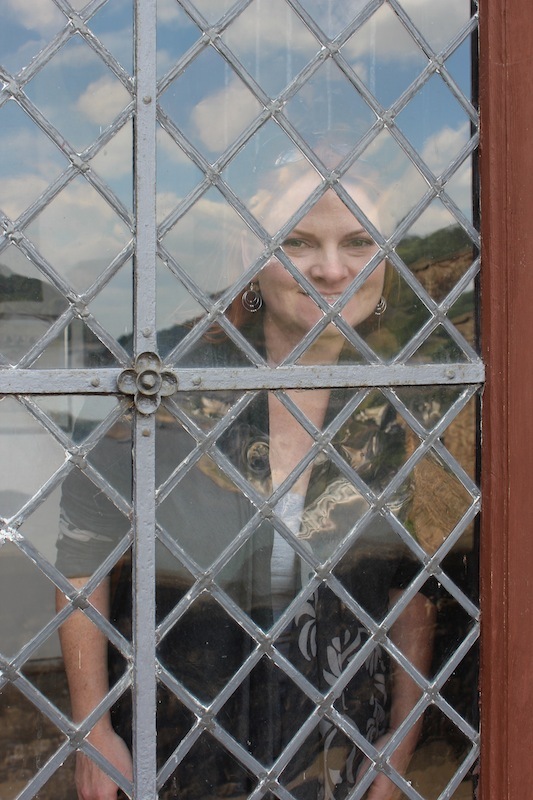 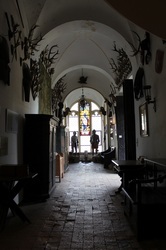 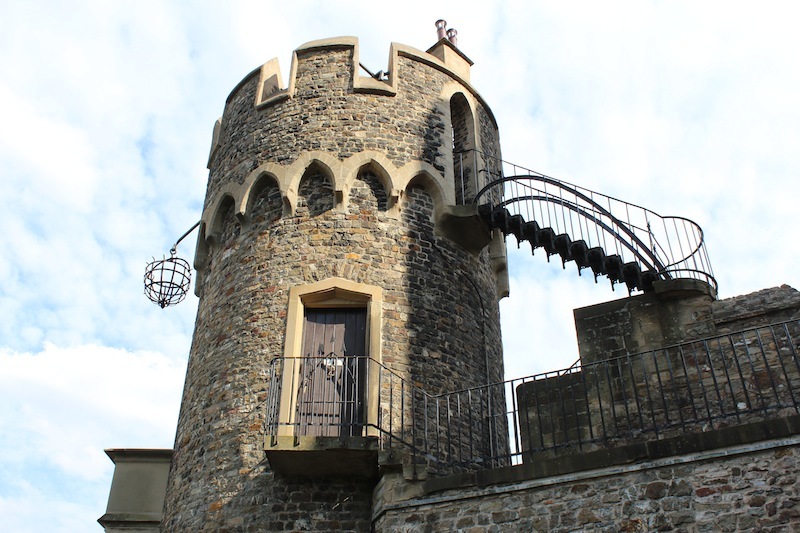 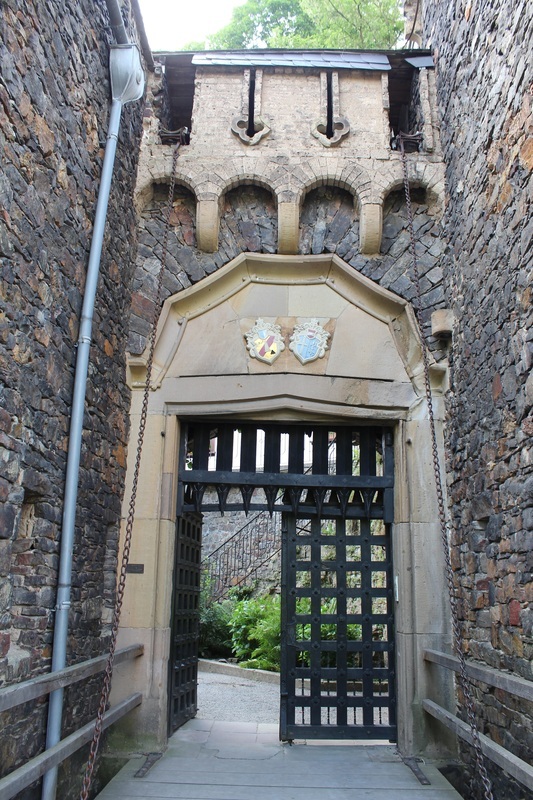 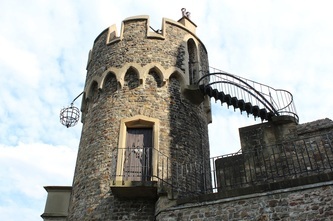 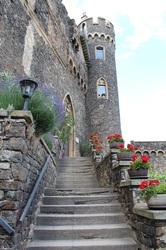 Unfortunately, we drove through so quickly but we did stop for a visit to Castle Rhinestein. Rhine castles often don't have quite the charm of castles further from the river mostly because their lives were troubled and often short. 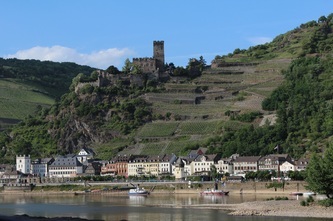 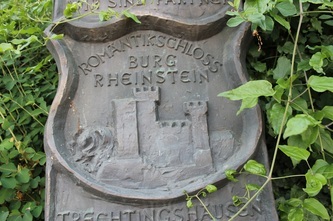 Many castles along the Rhine have been so completely destroyed that you wouldn't know a castle existed except for the sign indicating ruins that are sometimes nothing more than a small pile of stones. 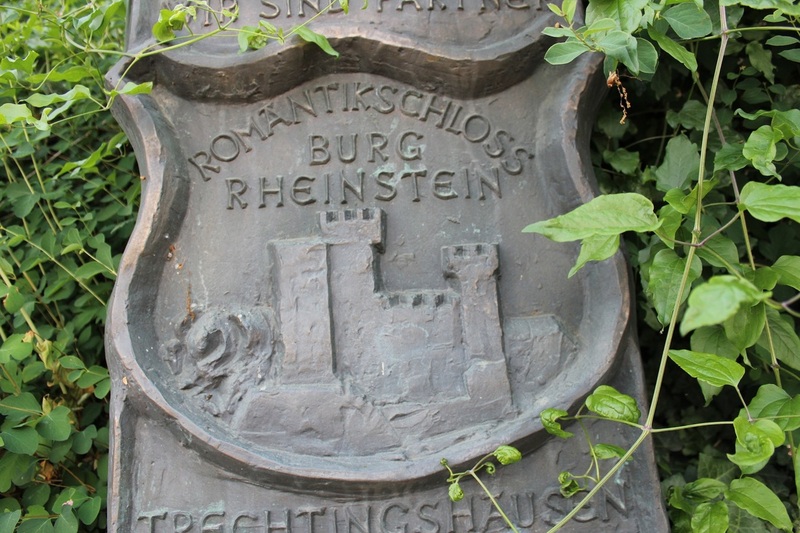 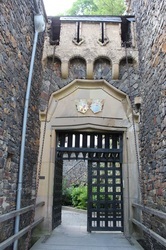 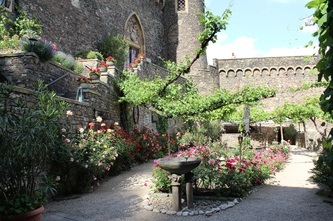 Rheinstein is one of the better examples of 14th century castles and it is in excellent condition after a major restoration in the 18th century. 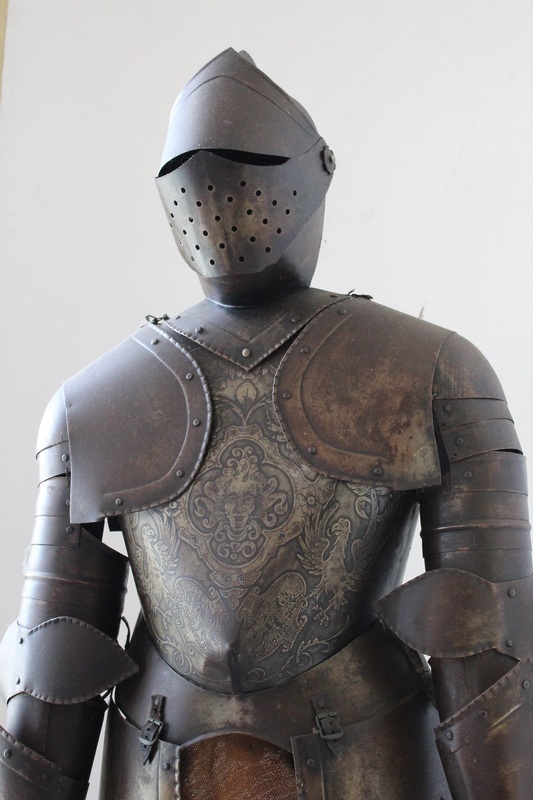 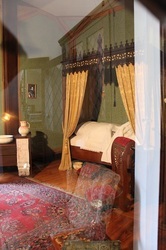 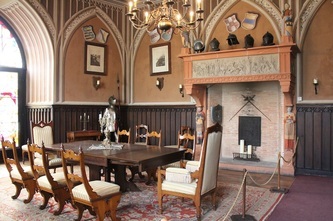 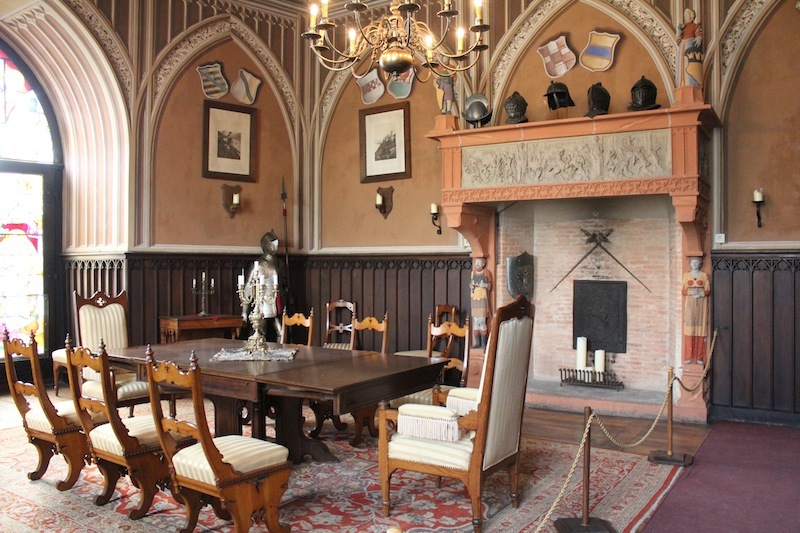 This castle has a particularly beautiful courtyard garden and excellent displays of armor, furniture and artwork from the time of its occupancy. 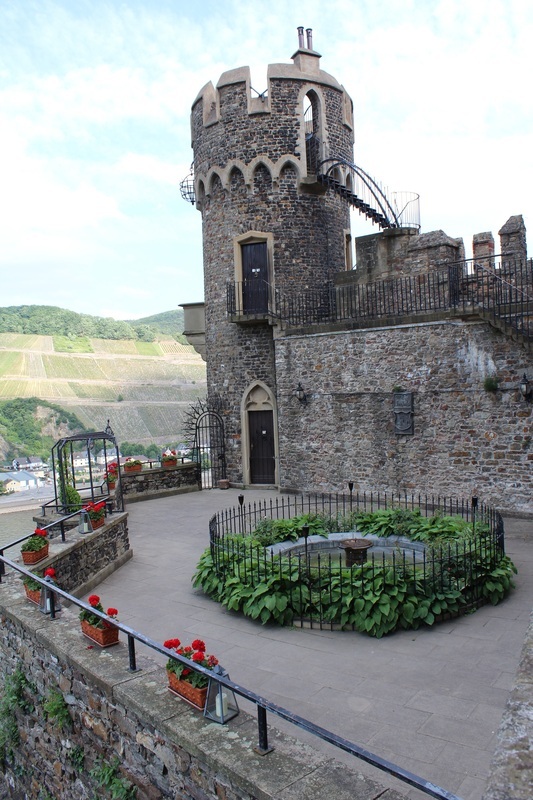 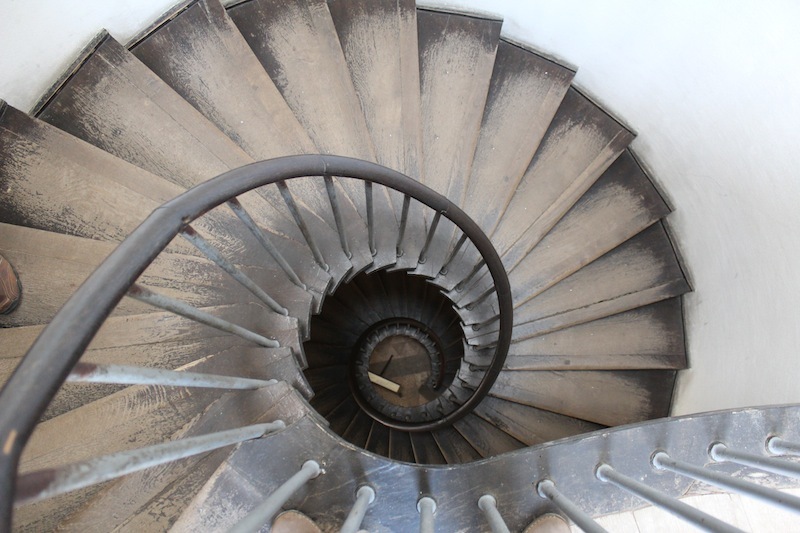 The view of the Rhine from it's tallest tower, though quite frightening to ascend, is particularly inspiring as well.